One of our Hinowa Spider 1570s was recently called into use at St Dunstans Church in Mayfield, Kent. 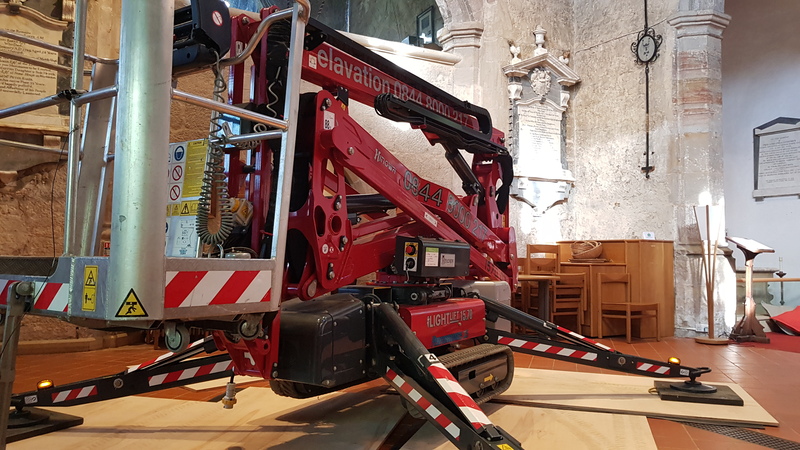 Our customer had to carry out some vital maintenance work within the church and the 1570 Spider was the ideal machine for the project. 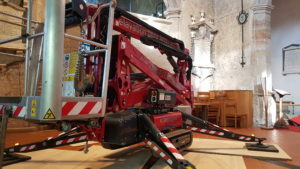 The lightweight Spider with non-marking tracks, lithium powered and a great working envelope, allowing access to multiple areas from one area, got the job done. 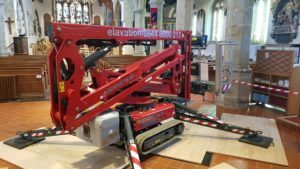 If you would like a quote on one of the various sized machines in our Spider fleet please call the hire desk team on 01908 317602 or email hire@elavation.net they will be happy to help.